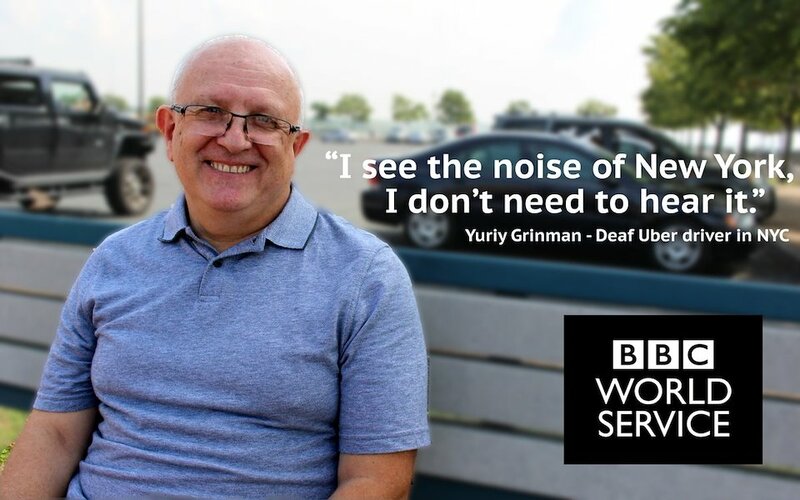 New York taxi driver Yuriy Grinman doesn't hear any of the honking horns and sirens that make up the sounds of New York City's streets as he's deaf. He uses a taxi-hailing app, which allows customers to submit trip requests and pre-pay for their journeys. Reporter Colm Flynn went to meet Yuri in NYC.